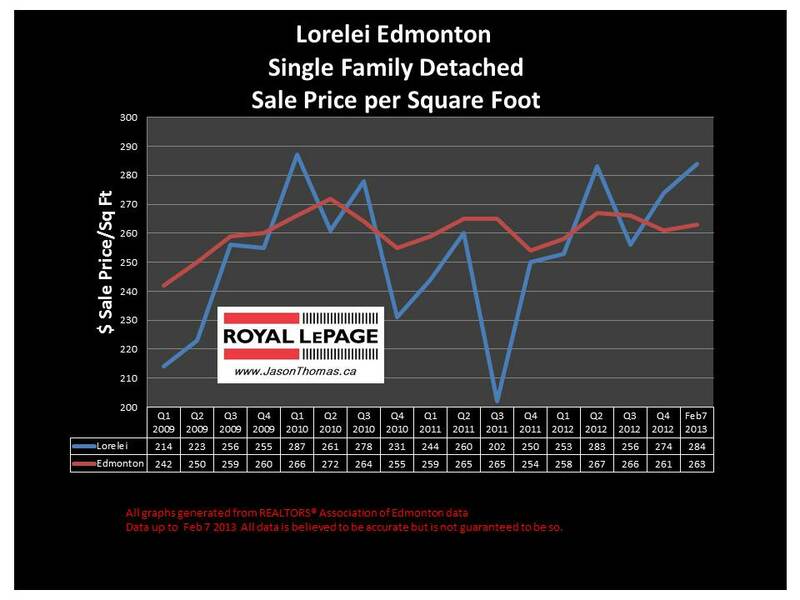 The Lorelei home sale price per square foot has been stronger than the Edmonton average selling price per square foot over the last year. Lorelei had a weaker 2011 when you look at the sold price per square foot, but Lorelei has nicely rebounded in 2012 and 2013. The highest sale price for a home in Lorelei in the last 12 months was $405,000. The most affordable home sale in the last 12 months in Lorelei was $270,000. The average time to sell a home in Lorelei in the last 90 days has been 41 days. That is quicker than the Edmonton average days on market of 58.